12/14/15 – Update v6.2 Mistfall DLC, Global Chat, Fast Loading, Custom Tiles, and more! Welcome to our final update of 2015! It’s hard to believe how fast this year flew by. We’ve made some great improvements in this update and we hope you enjoy them. Our next DLC Mistfall by NSKN Games is now live! This is a beautiful game that can be played with 1-4 players. That’s right, you can play this game solo! You can get Mistfall with a launch discount of 30% off for the next week! 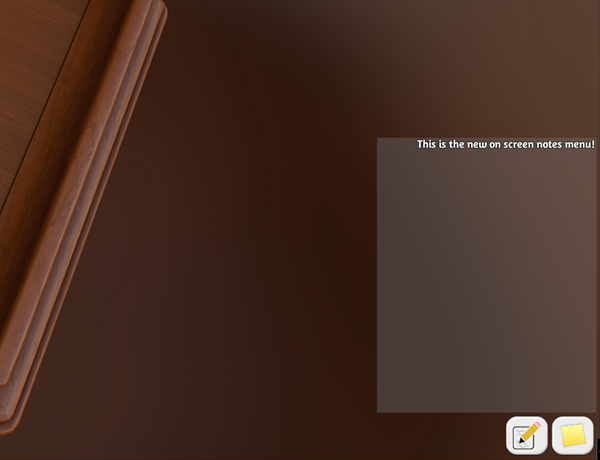 We’ve also added a new Global Chat, Custom Tiles (with double-sided images) and fast mod loading is now on by default. 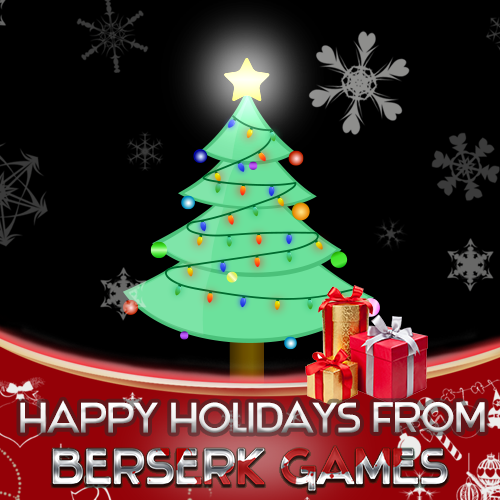 We at Berserk Games wish you all a Happy Holidays and hope you enjoy the rest of 2015. 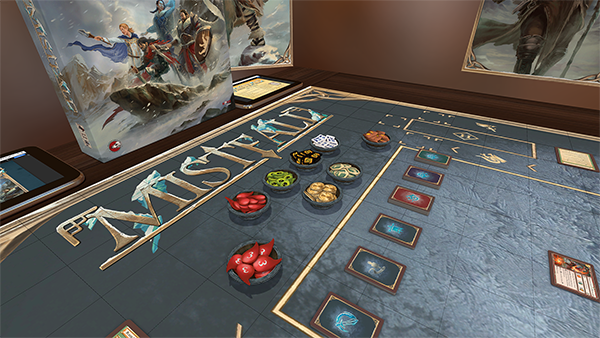 Mistfall is a fully cooperative adventure card game set in a dark fantasy realm of Valskyrr. 1-4 players can play for a whopping 90-180 minutes of game time! Current launch discount is 30% off. 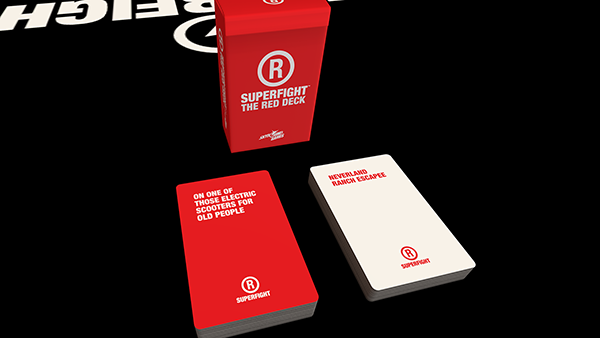 The Red Deck adds one hundred really terrible and likely offensive cards to Superfight. 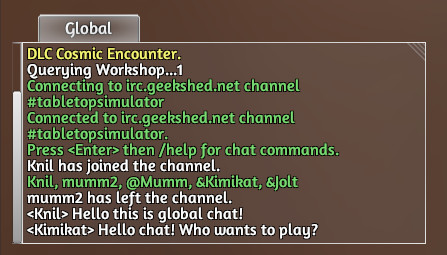 If you want to join the channel outside of the game, you can go to http://www.geekshed.net/chat and be sure to enter in #TabletopSimulator as the channel name. 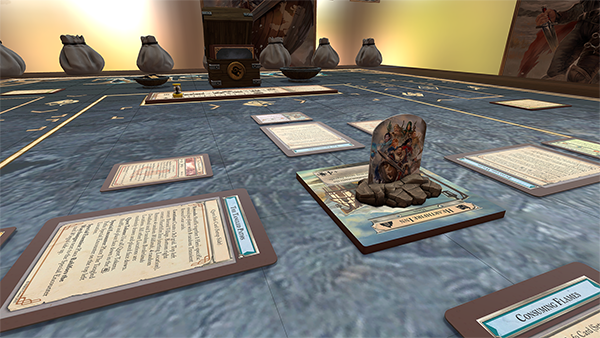 When you login to Tabletop Simulator, you will now be in the global chat. 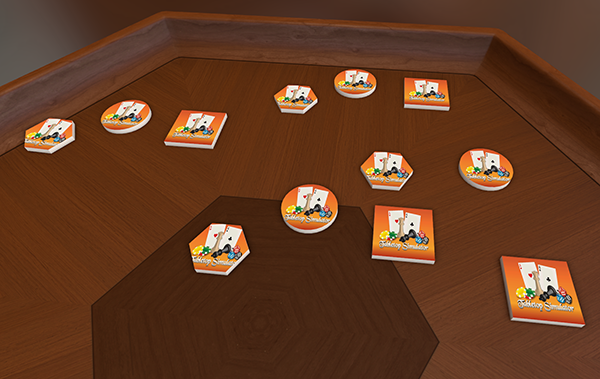 Everyone who has Tabletop Simulator open can communicate with one another. This will make finding people to play games with much easier and more of a community feel. You can type /help in the Global Chat to bring up a list of commands you can do. When you join a server, all your in-game chat will be in the Game tab, but you can still chat with other people in Global Chat. There is also a separate Team tab that will show up once you join a team. Loading mods is much faster and doesn’t hard lock the game. Loading mods should be much more stable, especially on Mac. Fixed issues with using certain resolutions on image files. Fixed issues with textures at certain distances to the camera. As this is a major overhaul of how we handle loading, let us know if you run into any issues. You can toggle between new and old loading using /threading in chat (default is threading). Easy-to-use tile maker with box, hex, and circle as shapes. Just give an image for the top and bottom of the tile and you are good to go. You can control the thickness of the tile. You can also toggle whether they should stack like chips. Tiles are initially sized to fit the 2×2 grid, but can be resize like all game objects. 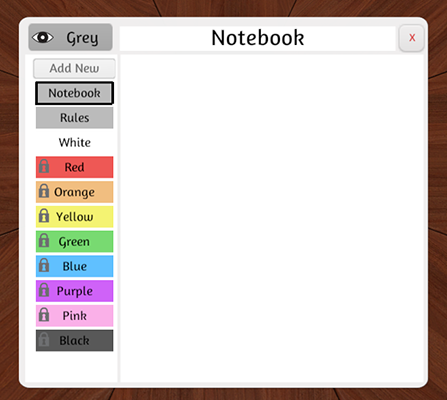 Notepad and Rules have been combined and is now called Notebook. Added a confirmation notice when the delete button is pressed. This can be accessed by clicking the Notebook icon on the top menu bar. The size of the Notebook window has been slightly increased. When nothing is selected, the other tabs are grayed out. Clicking on the Notebook will automatically default to the Rules tab so you can access it right away. Fixed issue with typing in the rules always scrolling to the bottom. Notes have replaced the old Notepad where you can type things to show on screen in real time. Instead of opening up Notepad (which is now gone), all you do click the “Edit Note” button on the bottom right of your screen to bring up the Notes area. You can now type in the selected box. The other button gives you the option to hide or show the Notes individually for those of you who wish to have a clean screen. Improved the accuracy of the download progress bar. Rotation snap points have been optimized. The last window you drag will always be on top. Added tooltips for the calculator and counter. Pasting link to PDF in the Tablet search bar will now load it correctly. Doubled max character limit per chat message. All objects now flip like cards except dominoes. Fixed issue with Gizmo and Snap tools not hidden for non hosts. Fixed texture issue with changing from DLC to default games. Fixed issue with custom objects not sizing properly in infinite bags. Fixed issue with mods not finishing loading. Fixed the old black texture bug. Fixed issue with cut pasting a custom object quickly with thread loading on.. Fixed issue loading old text tools. Fixed issue with Tablet getting stuck when releasing your mouse off the screen. Fixed issue with Alt Zoom being covered by other players hands. Fixed issue with objects exploding for a split second for clients when first loading. Fixed issue where Promoted players couldn’t load .json save files. Fixed issue with objects in infinite bag showing through in the hidden areas. Fixed issue with infinite bags not being able to be picked up when a deck of cards is in them. Fixed issue with Tooltips clipping into Alt Zoom.